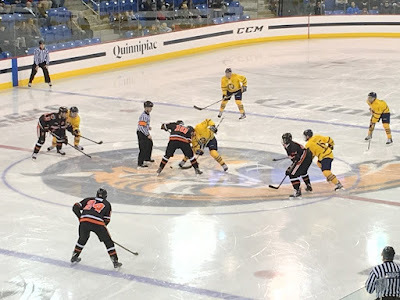 The Quinnipiac Bobcats were outworked on Tuesday night as they fell 5-3 in ECAC action to the Princeton Tigers at the Frank Perrotti, Jr. Arena. 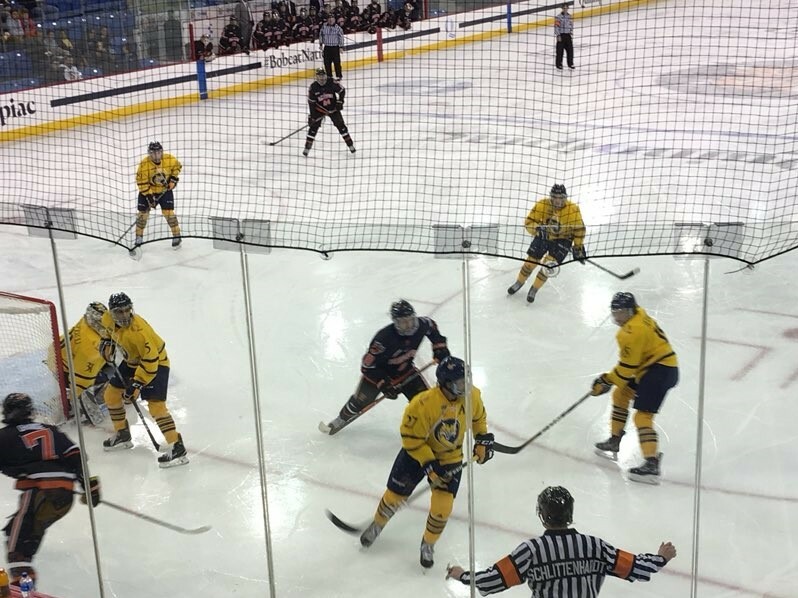 Returning home for their first home game since December 9th against Maine, Quinnipiac started the second half of the season 3-2-2 as they looked to gain position in the ECAC standings with a key game against a Princeton team one point behind them in the standings. The Bobcats were done in by three power play goals by Princeton who have one of the better power plays in the ECAC and the country. 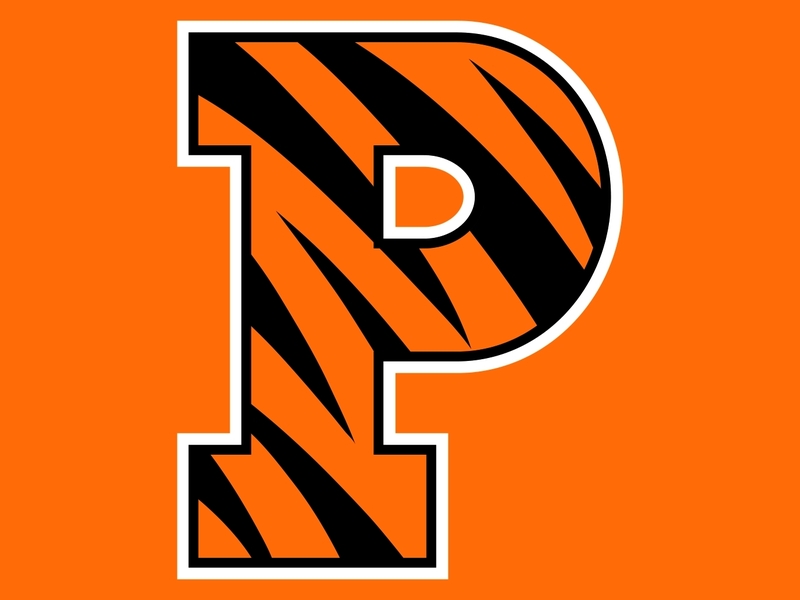 "Princeton has a good power play, said Rand Pecknold. But they should not go three for three against us as we have had a good year on the penalty kill as always." Just under six minutes into the opening period, Princeton's David Hallisey scored on the power play after a Brogan Rafferty cross checking penalty. Quinnipiac responded just under the ten minute mark when Tanner MacMaster fed Nick Jermain cross crease who buried home an open look past Princeton's Ryan Ferland. 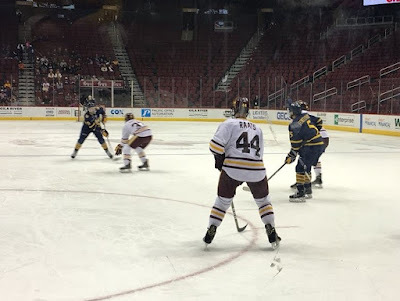 In the later stages of the period Luke Shiplo corralled the puck off a rebound from Scott Davidson's shot and backhanded it high past Ferland for his first goal of the season. Princeton then responded with three straight goals with two by way of the power play. Josh Teves tied the score in the second period on back handed power play goal that fooled Quinnipiac goaltender Keith Petruzzelli (34 saves) while David Hallisey scored his 8th power play goal and 13th of the season just 2:15 into the third period. Not even a minute later Ryan Kuffner scored giving the Tigers a 4-2 lead which proved to be the game winning goal. "I didn't think our compete was very good tonight, said Pecknold and that's a trademark of us. We should be ready to go and hungry. The coach-ability for a bunch our guys was poor. Guys just are not buying in. Some of these juniors and seniors have been here before and been on the Frozen Four team and they don't care as much as they used to." 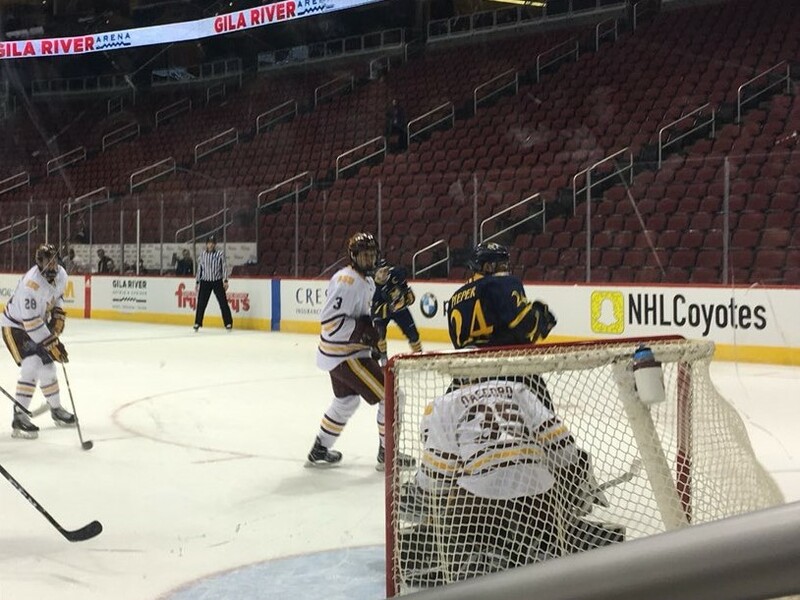 Quinnipiac got within 4-3 after Alex Whelan tipped one in past Ferland for the goal. Ryan Kuffner had the empty net goal for Princeton which improved to 8-10-3 (5-8-1 ECAC) and jumped ahead of Quinnipiac in the conference standings. The Tigers top four scorers of Max Veronneau, Kuffner, Hallisey and Teves combined for 11 points on the night. Tanner MacMaster had two assists for the Bobcats while Odeen Tufto added another assist as Quinnipiac dropped to 9-13-4 (4-8-2 ECAC) and sits in 10th place in the ECAC standings. This Quinnipiac team reminds me a bit of the 2009 New England Patriots in which head coach Bill Belichick couldn't get the team to play the way he wanted them to play. While Tom Brady ultimately carried them to a division title they were blown out in the playoffs because they lacked talent in many areas much like Quinnipiac does. Rand Pecknold just can't get this team to play the way he wants it to and doesn't have a Tom Brady type player to carry this team when they need it. Quinnipiac returns to action this weekend when they welcome Clarkson and St. Lawrence to Frank Perotti, Jr. Arena. It's all conference play from here on out for Quinnipiac. After winning and tying Arizona State out in the desert Quinnipiac returns home for their first home game in almost two months when they take on Princeton. They went 3-2-2 away from home in the first seven games of the second half of the season. Currently sitting at 9th in the ECAC standings, Quinnipiac has a lot of work to do in order to better position themselves for the conference tournament. If not then they could be playing on the road in a playoff series for the first time since 2006 which was the programs inaugural season in the ECAC. The last time these two teams met Quinnipiac won 6-2 back in November. Princeton has the third best offense behind the top two ECAC teams in Cornell and Clarkson. They average 3.10 good for 19th in the country. The Tigers have some dangerous players who are averaging over a point per game in Max Veronneau (25 points), Ryan Kuffner (22 points), David Hallisey (21 points). A 4th player in Jackson Cressey has 18 points along with 2 game winning goals and 3 power play goals. 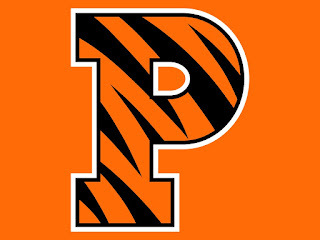 Princeton has the capability of exploding for a huge amount goals in any game they play. Eight times this season they have scored four or more goals in a game. However they have struggled a bit in the second half of the season going 1-3-2 in their last six games. 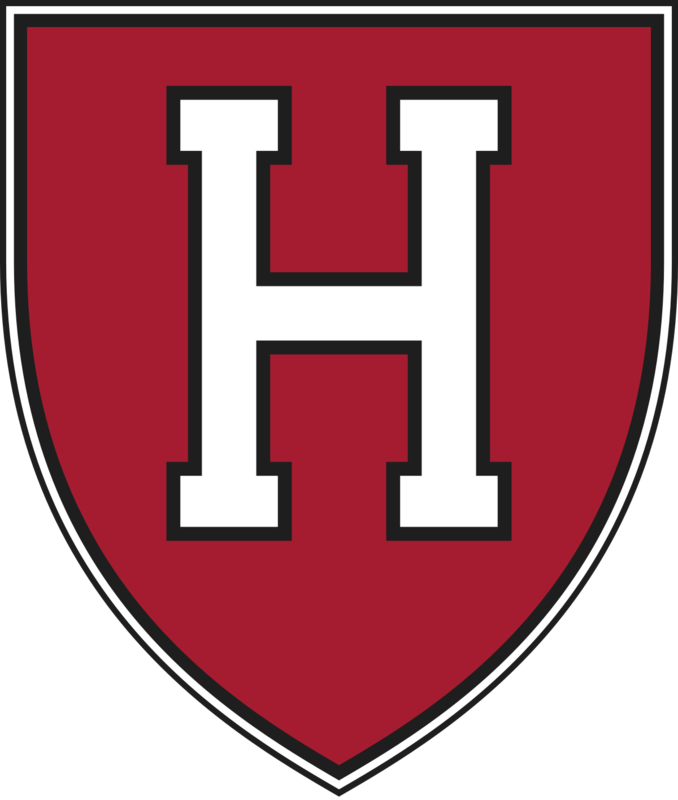 Only once over those last six games did they explode on offense with a 6-3 win over Dartmouth in their last game on January 13th. Princeton is very strong on the power play at 22.67% (17-of-75). David Hallisey has six power play goals while Ryan Kuffner and Jackson Creesey have three each. The key for Quinnipiac is to stay disciplined and keep this game a five on five game. Giving Princeton power play opportunities could be a recipe for disaster even with the Bobcats solid penalty kill. Defensively this team has struggled. They have given up 3.25 goals per game which ranks them 48th nationally. They have some nice players on the defensive end in Josh Teves (17 points, plus 6), Reid Yochim (4 points, plus 2) and Matthew Thom (3 points, plus 4). The rest of the defenseman are a combined minus 21. The Tigers have shown at times they are capable of playing solid defense but they just have not been consistent enough at that end. The penalty kill has been solid this season at 81% (60-of-74) good for 30th in the country. It has slipped a bit from the last time these two teams met back at the end of November. 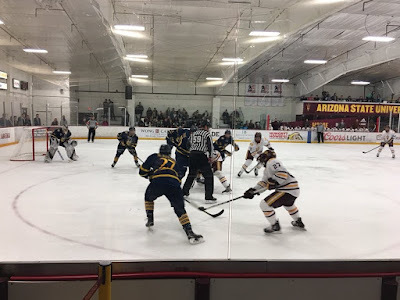 Quinnipiac's power play has started to improve in the past couple of games and that will be key for them if they want to make a run down the stretch. Ryan Ferland has gotten the bulk of the starts this season and is 7-8-3 with a 3.00 goals against average and a .913 save percentage. He has two shutouts this season (Colgate and Arizona State). Quinnipiac pounded him for 5 goals on 30 shots in their game back in November. Princeton needs better goal-tending if it wants to have a strong second half because they have an offense that can really do a lot of damage. Its the back end that is hurting this team from having a better record at this point. Every game right now for Quinnipiac is important as they try to position itself in the ECAC standings. With Princeton one point behind Quinnipiac, a win by the Bobcats would give this team a three point cushion and a tiebreaker against the Tigers. While the second semester has not started academically yet, the hockey part is in full swing. Quinnipiac opened the second half of the season with a 2-1 record last week with wins over UConn and Colgate and a 1-0 loss to Cornell. The Bobcats now head to Hanover, NH to face the Dartmouth Big Green who have played well of late with a 3-2-1 record in their last six games. That includes a road win against Denver, a tie against Minnesota Duluth and they also played Denver to a 1-0 loss as well. These two teams played to a 0-0 tie in Hamden back on December 2nd. Half of the Dartmouth goals have been scored in the last six games so the offense seems to be heating up a bit. They potted five goals against Denver on the road and another six in an overtime win over RPI just last weekend. Even with the hot streak, the Big Green have the third worst offense in college hockey at 2.06 goals per game which is good for the worst in the ECAC. Some of the younger players have stepped up recently in Will Graber (3 goals, 5 assists), Quin Foreman (3 goals, 4 assists) and Matt Baker (5 goals, 1 assist). Seven of their top ten scorers are underclassmen which may bode well for the future. Corey Kalk and Kevan Kilistoff lead the team with 9 points apiece. Junior Alex Jasiek is second on the team with 8 points. The power play has been a struggle this season at 11.48% (7-of-61) good for 56th nationally. Quinnipiac has a strong penalty kill at a shade over 85% (74-of-87) good for 13th nationally. Dartmouth is ranked 48th nationally in defense at 3.31 goals per game. Its a half a goal improvement since the last time Quinnipiac faced them. Seven times this season, Dartmouth has given up four goals per game. Connor Yau is one of the Big Green's better defenders but there is not one player back there that is a plus. Freshman Brandon Less is an even player with 3 assists in 15 games played this season. The penalty kill has gotten better to just a shade over 80% (46-of-57) good for 33rd nationally. Quinnipiac's power play has been bad maybe one of the worst it has been in years. They are 57th nationally at 11.39% (9-of-79). Only Arizona State, Alaska and Yale are worse than Quinnipiac on the power play. Devin Buffalo is the entrenched starter and he did not play against Quinnipiac last time out due to injury. 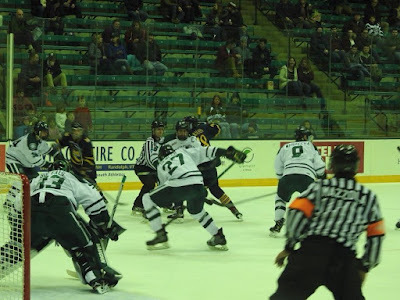 He has played well at times in the the last six games in which Dartmouth has gone 3-2-1. On the season he is 5-5-1 with a 3.04 goals against average and a .905 save percentage. Expect him to start on Friday night against Quinnipiac though it wouldn't surprise me if Adrian Clark who shutout Quinnipiac in the previous meeting gets the nod as he was very solid in that game. Quinnipiac has played better in conference play since starting 0-4 going 4-2-1. They played well at times last weekend and probably could have beaten Cornell if it had some scoring. With a challenge looming the following day against Harvard, getting a win to start the weekend is a must. The most recent Quinnipiac commit was T.J. Friedmann, a St. Louis, Missouri native currently playing for the Victoria Grizzlies in the BCHL. He committed to the Bobcats on December 29th and will be part of the 2019-2020 recruiting class giving him one more developmental season of junior hockey before coming to Hamden. Listed at 6'2, 179 pounds, the 1998 born center that has a strong wrist shot and has good offensive skills. In 40 games played this season, Friedmann has 33 points (13 goals, 20 assists). The Bobcats Hockey Blog recently caught up with T.J. to discuss hockey and his commitment to Quinnipiac. Thanks to T.J. for the time he gave for this Q&A. Jonathan Singer: First off congratulations. What are your thoughts and emotions like after making this decision? 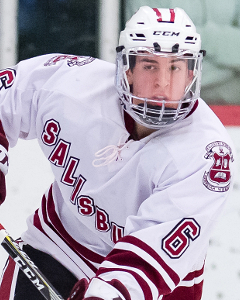 T.J. Friedmann: I’m excited to be able to join a program like Quinnipiac. It feels good to finally know where I’ll be continuing my education and hockey career. Jonathan Singer: When did you start playing hockey as a kid? T.J. Friedmann: I learned to skate at 3-years-old and two years later I started playing the game. Jonathan Singer: What are some of the reasons you got involved in the game? T.J. Friedmann: When I was younger I would play ball hockey with my cousin at his house. Once I learned to skate, it was an easy transition into playing the game. Jonathan Singer: It seems like the St. Louis area is starting to develop many high end prospects in recent years with the likes of Matt and Brady Tkachuk. Have some of the recent success of the St. Louis Blues contributed to that rise of the talent increase in the Missouri area? T.J. Friedmann: I think so. The Blues organization has been doing a great job of giving back and helping with the development of kids through summer camps and the AAA Blues program. More and more kids are wanting to play hockey in the area now since they have such great role models to look up to. Jonathan Singer: You played in the NAHL at a young age starting when you were 16. What did you learn from playing in that league at such a young age? 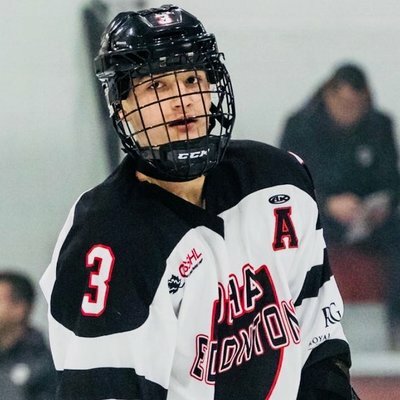 T.J. Friedmann: Playing in the NAHL at a young age helped me realize that my game and my body needed to mature if I wanted to have success at a high level of hockey. I started to see and recognize the work it takes to have success in juniors. Jonathan Singer: After one season with Springfield you went back to major midgets to play for Victory Honda. What went into that decision to drop down a level? T.J. Friedmann: I thought a year at midget major with coach Burke would be a great thing for my development. He’s done a great job with moving kids on and has a great track record with putting together competitive teams. Jonathan Singer: Tell us about your overall recruiting experience. What factors went on deciding on Quinnipiac? T.J. Friedmann: The recruiting process can be a little long, but Quinnipiac has always been a school I’ve been interested in. When they came to me with an offer I was very excited. When I toured the Quinnipiac campus, I quickly recognized the facilities were top notch, and the campus is the perfect size I was looking for. Jonathan Singer: Tell us about some of your strengths as a player? After watching a few clips I can tell a strong wrist shot is one of them. T.J. Friedmann: I think my biggest strength as a player would be that I am a strong two way center that can create offense but I also do a good job of staying responsible defensively. Jonathan Singer: What are some of the areas of your game you want to improve upon for the rest of this season and next year in juniors before arriving at Quinnipiac? T.J. Friedmann: I think I could get my first three steps a little quicker, overall making me a more explosive skater. Also, being 6’2, I think if I could put on a little more weight that would make me more of a threat on offense and help me knock guys off pucks defensively. Jonathan Singer: Did the Quinnipiac coaching staff talk about what type of role they envision for you as a player? T.J. Friedmann: I don’t know exactly where I’ll fit in on the depth chart, but I do know they want to keep me as a center when I come in. Jonathan Singer: How has the coaching staff at Victoria helped mold you as a player the past two seasons? T.J. Friedmann: The coaches here in Victoria do a great job developing kids into Division 1 and pro players. They utilize video for teaching points and we do a lot of drills to emulate game play in practice which in turn helps us prepare for many game situations. Jonathan Singer: Is there any player you try to model your game after? T.J. Friedmann: Being a center I try to model my game after Jonathan Toews. He’s a good two way center that can produce points and is a great leader. T.J. Friedmann: I try to get involved with the community as much as possible to give back. Here in Victoria, we do a lot of visits to elementary schools to talk to kids about the importance of staying active, and I try to do as many of those as possible. Jonathan Singer: What are some of the things you enjoy off the ice? T.J. Friedmann: My favorite off ice activity would probably be hiking. Being from St. Louis, there’s not many places to do it, but up in Victoria that is something I like to do. Quinnipiac returned to ECAC action over the weekend and earned a split of the Colgate/Cornell road swing. They beat Colgate Friday night 4-3 in overtime after blowing a two goal lead in the final minute and fell to Cornell 1-0 the following night. The Bobcats are now 8-11-2 (4-6-1 ECAC) on the season. 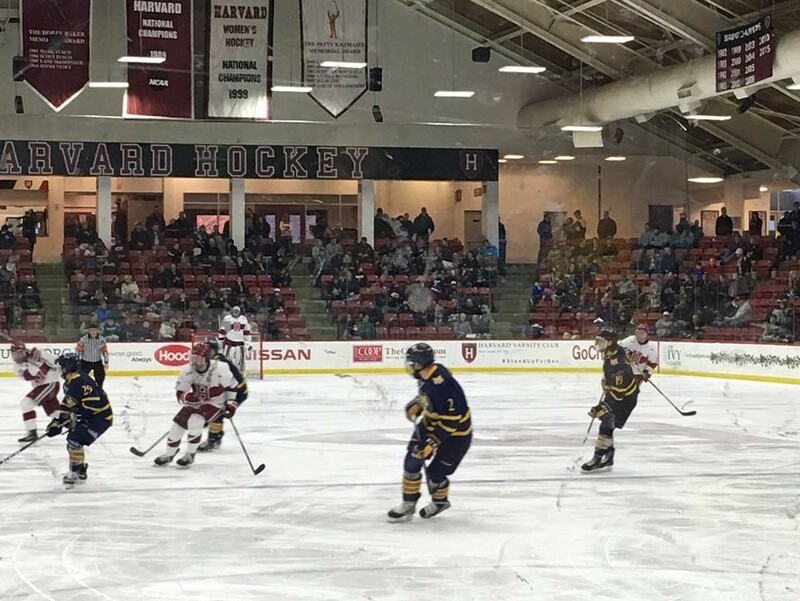 At this point of the year, Quinnipiac would need to win the ECAC tournament in order to return to the ECAC tournament as they are not in position to get an at-large berth. With that said let's take a look at how some of the future Bobcats did over the past week. One of the newest commits for Quinnipiac had a nice week. Desi Burgart of the Surrey Eagles had a 3 point week (2 goals, 1 assist) in three games played helping Surrey to 2 wins this past week. On the season Burgart has 34 points (16 goals, 18 assists) in 35 games played. He will be part of the 2018-2019 recruiting class. 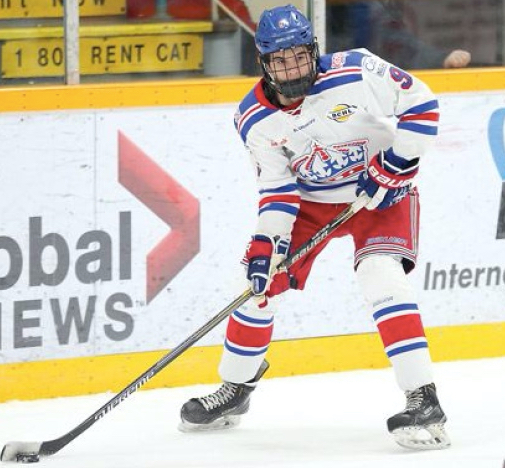 Ethan de Jong had 2 points (1 goal, 1 assist) in 3 games played for the Prince George Spruce Kings. The North Vancouver, BC native has 40 points (13 goals, 27 assists) in 35 games played and won a gold medal for Canada West at the World Junior A Challenge. He is expected to accelerate to the 2018-2019 recruiting class a source tells the BobcatsHockeyBlog, as he was originally due to be part of the 2019-2020 recruiting class. 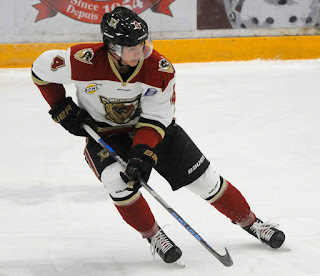 Michael Lombardi had 3 points this weekend for the West Kelowna Warriors in three games played with two of them wins. In 39 games played this season, Lombardi has 26 points (12 goals, 14 assists). However his production since coming to West Kelowna in a trade is more impressive with 19 points in 23 games played. 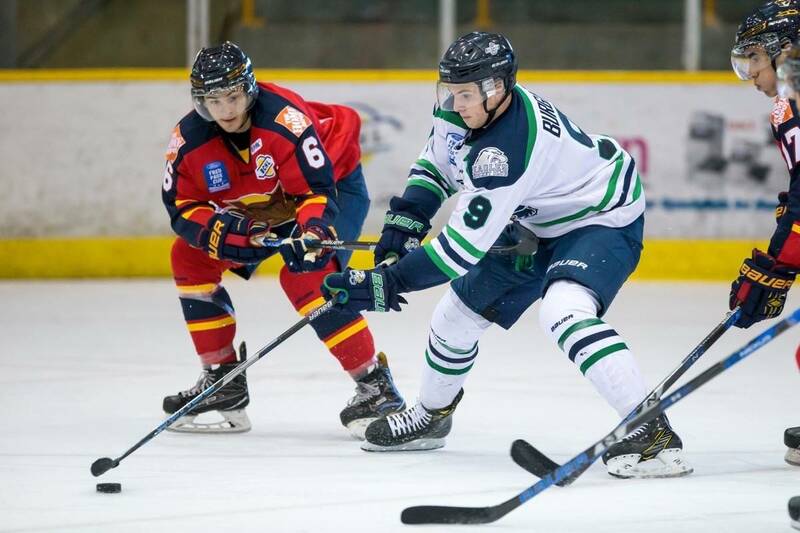 Quinnipiac's most recent commit T.J. Friedmann had 3 goals in 3 games played this weekend for the Victoria Grizzlies. The 1998 born center out of St. Louis, Missouri has 33 points (13 goals, 20 assists) in 40 games played. He is committed for the 2019-2020 season. We will have a Q&A with Friedmann coming out on Tuesday January 9th so stay tuned. Wyatt Bongiovanni had one assist in Muskegon's 3-2 win over the Dubuque Fight Saints on Friday. He was scratched due to injury in Saturday's game. In 26 games played this season, Bongiovanni has 24 points (12 goals, 12 assists) with 3 power play goals, 1 shorthanded goal and 2 game winning goals. William Fällström had one assist for the Fargo Force in 2 games played this weekend. The the Sweden native now has 20 points (6 goals, 14 assists) in 28 games played. Dom Fensore picked up 2 assists for the U-17 team in USHL action in Saturday's game against Des Moines. In 13 USHL games played, Fensore has 4 assists. In other game action this season for the NTDP he has 18 assists. 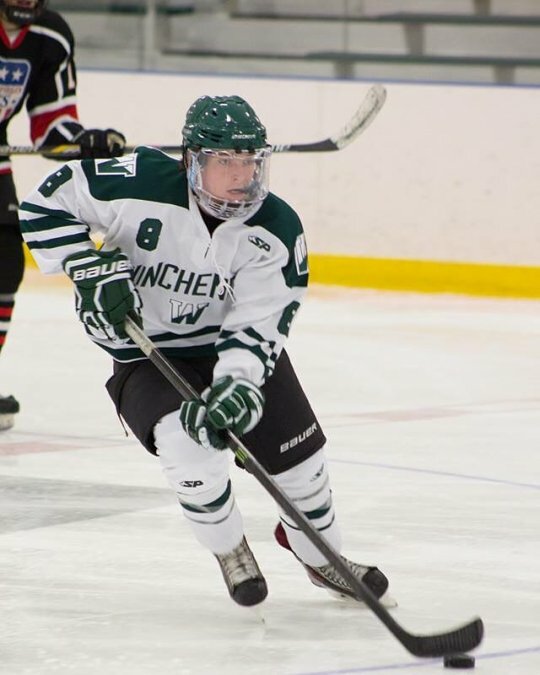 Matt Fawcett of the Winchendon school is leading all of New England Prep in scoring with 26 points (10 goals, 16 assist). He is averaging 2.36 points per game. Earlier this season he spent time in the USHL with the Sioux City Musketeers. John Campomenosi had 3 assists for Don Bosco Prep in an 8-1 win over the The Hun School. He is off to a good start this season with 11 points (2 goals, 9 assists). 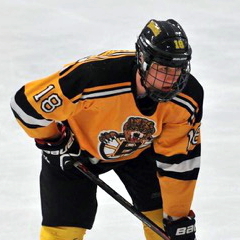 Gus Van Nes picked up 3 assists in 3 wins for the Jr. Bruins over the weekend. The Netherlands born power forward has 43 points (13 goals, 30 assists) in 33 games played on the season. He will be the second ever Dutch born forward to play for Quinnipiac. 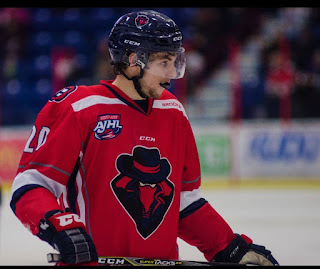 Matt Cassidy had a goal and an assist in Saturday's game for the Brooks Bandits. In 32 games played this season, Cassidy has 27 points (11 goals, 16 assists) and is tied for 5th on the team in scoring. Jacob Quillan had a 4 point weekend (2 goals, 2 assists) for the Steele Subaru Major Midgets. The 2002 born forward has had a strong year with 37 points (13 goals, 24 assists) in 30 games played. He is part of a trio of Nova Scotia born commits following Peter Diliberatore (2000) and Ethan Phillips (2001) as a talented players from the Atlantic province. Victor Czerneckianair picked up an assist over the weekend for the Selects Academy U-15 team. In 36 games played this season he has 48 points (21 goals, 27 assists). Ethan Phillips and P.J. Fletcher each had a goal and an assist in the Selects Academy U-16 7-1 win over the New Jersey Hitmen in USPHL play. 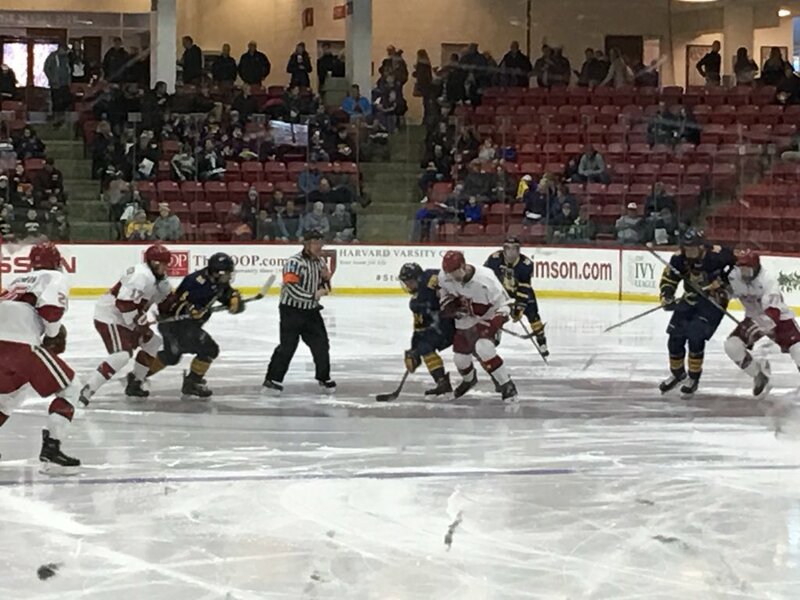 A night after dramatic overtime win at Colgate, Quinnipiac was held off the scoreboard tonight against Cornell losing 1-0. 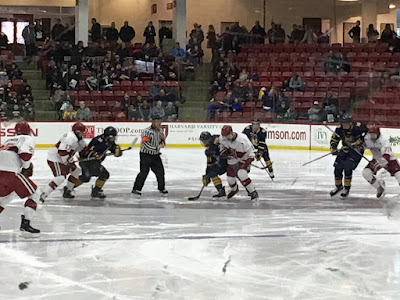 While the Bobcats had their chances with multiple posts rung, scrums in front of the net, the lack of finishing ability was ever apparent in this game. 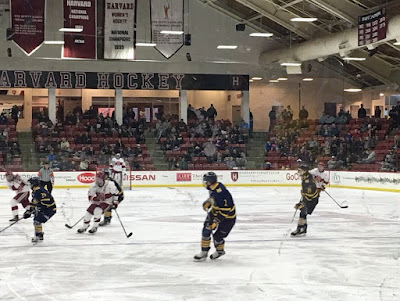 Quinnipiac had a lot of puck possession in this game and played well against the #4 Big Red but if you can't score goals you are not going to win games. The Bobcats once again out shot their opponent 28-20 but Cornell's defense did a good job all night limiting Quinnipiac's opportunities along with blocking 26 Bobcat shots on the night. Quinnipiac had won its past five meetings with Cornell at Lynah Rink and was 9-8-1 against the Big Red at Lynah prior to tonight's game. Cornell freshman Matt Galajda, who was solid in his previous game against Quinnipiac got a surprise start after senior Hayden Stewart who has assumed the starting job couldn't play due to injury. Galajda made 28 saves for his third shutout of the season to give Cornell it's first regular sweep of Quinnipiac since the 2011-2012 season. The teams went scoreless in the first period and the lone goal wasn't scored until the 14:50 mark of the second period when Trevor Yates took a rebound off Quinnipiac goaltender Andrew Shortridge and fired it past him for his team leading 11th goal of the season. 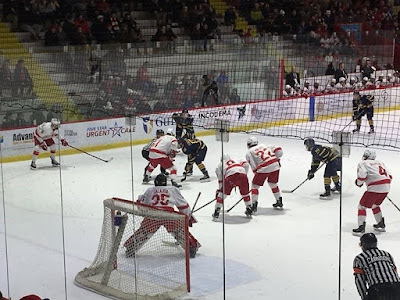 That was all Cornell would need as they improved to 13-2 on the season and 7-1 in the ECAC as Quinnipiac couldn't muster anything in the third period past Galajda. Shortridge (19 saves) was solid again for Quinnipiac who fell to 8-11-2 on the season and 4-6-1 in ECAC play. 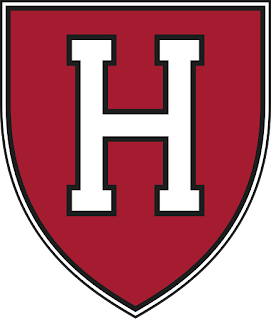 They travel next weekend to Dartmouth and Harvard as they continue the January road trip. On the second leg of a trip to frigid update New York, Quinnipiac heads to #5 Cornell to face the Big Red. The Bobcats have a five game winning streak at Lynah Rink and hold a 9-8-1 all-time record at the Big Red's historic home rink. 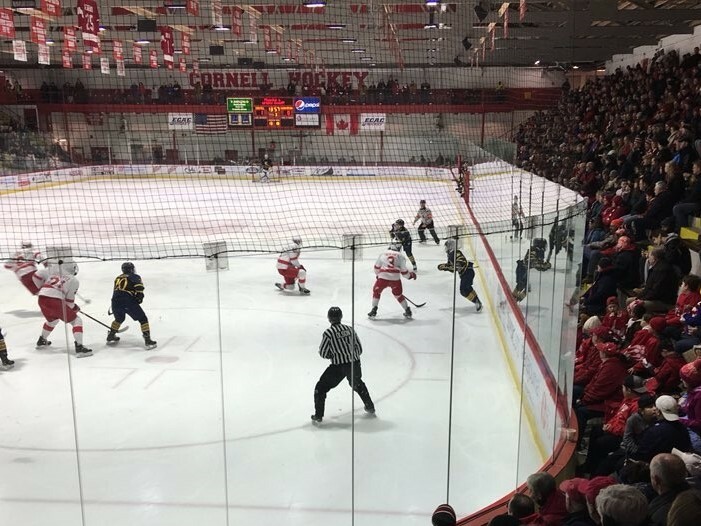 Earlier this season back in November, Cornell edged out Quinnipiac 2-1 on the Bobcats home rink. The Big Red are off to a strong start this season at 12-2 (6-1 ECAC) and have positioned themselves nicely for the NCAA tournament come March if they continue to play as well as they did in the first half of the season. They are also 8-1 this season at Lynah Rink with its only to ECAC leader Clarkson. Cornell has the 3rd best offense in the country at 3.86 goals per game which is also the tops in the ECAC. Trevor Yates is by far their most dangerous offensive player so far this season with 16 points including 10 goals with 4 of them coming by way of the power play along with 2 game winning goals. He is a player that Quinnipiac cannot let have his way against them. Three other plays are in double figures in points in Jeff Malott (14 points), Alex Rauter (12 points) and Morgan Barron (12 points). Other players of note that can hurt Quinnipiac are Anthony Angello (11 points) and Mitch Vanderlaan (7 points). Cornell also has a solid power play at 21% (14-of-67) which is 20th nationally. Both Yates and Alec McCrea lead the team with 4 power play goals apiece. The Cornell defense is a major strength for Mike Schafer's team. They give up 1.79 goals allowed per game which is second nationally only behind Clarkson (1.35 goals allowed per game). Brendan Smith (plus 17) and Alec McCrea (plus 12) have been defensive cogs for the Big Red. Sophomore Yanni Kaldis has been his solid self and freshman Alex Green has 6 points and is a plus 7. They play very sound as a unit and don't make a ton of mistakes. The Big Red penalty kill is pretty solid at 80.7% (46-of-57) good for 32nd nationally and with the Quinnipiac power play not very good this area would favor Cornell in my opinion. Freshman Matthew Galajda has gotten the bulk of the work load in the first half going 8-2 with a 2.10 goals against and a .910 save percentage. He was strong in his prior match-up with Quinnipiac making 28 saves in a 2-1 win in Hamden in early November. His backup, senior Hayden Stewart given Cornell some strong play and has started the past three games for the Big Red. He is 4-0 with a 1.01 goals against average and a .956 save percentage. With the way he has played in the last three games, it looking like he is the one who will face Quinnipiac. This game will be a challenge for Quinnipiac as Cornell is one of the hottest teams in the country playing at home where they have been strong all season long. With the way both teams have played this year getting a single point tonight would be impressive but a win would be a major surprise and big for the confidence of the team in the second half. The Quinnipiac Bobcats blew a 3-1 lead in the final minute, but senior Bo Pieper scored 22 seconds into overtime to come away with a 4-3 win over the Colgate Raiders at Class of 1965 Arena on Friday night in Hamilton, New York. With the win, Quinnipiac improves to 8-10-2 (4-5-10 ECAC) and are tied for 5th in the ECAC standings with Colgate though the Raiders have three games in hand on Quinnipiac. 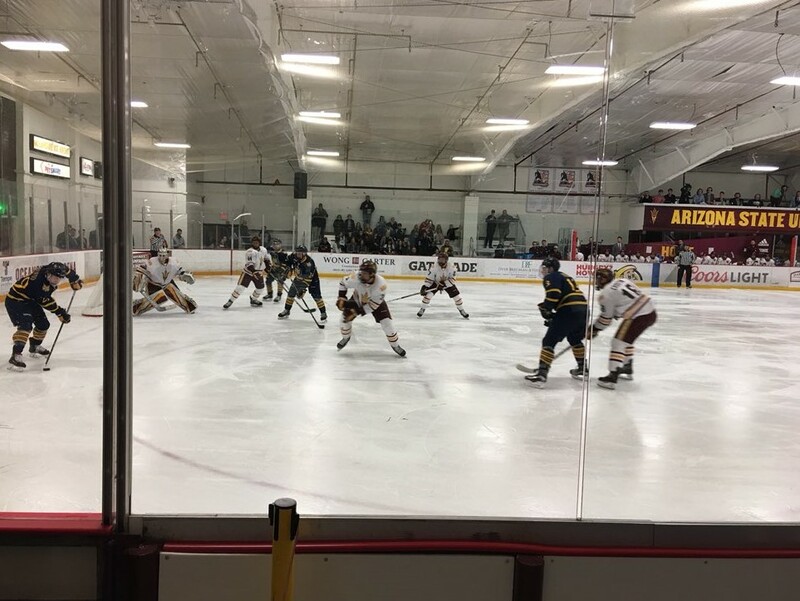 The home team broke the ice first scoring 14:38 into the opening frame on a power play goal by Adam Duada in which Quinnipiac goaltender Andrew Shortridge (20 saves) was screened in front. 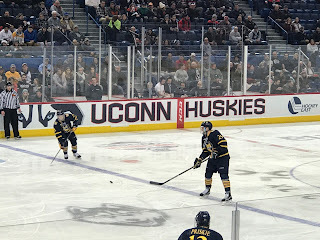 The teams were more or less even in the first period and Quinnipiac's best chance was late when Landon Smith's back-handed attempt was stoned by Zac Hamilton who was filling in for Colton Point who won a gold medal with Team Canada at the World Junior Championships. Just 45 seconds into the second period Quinnipiac found the back of the net when Tanner MacMaster's fed a soft back-handed pass to Odeen Tufto who was racing into the slot where he buried his 4th goal of the season. A little under five minutes later sophomore Alex Whelan gave the Bobcats a lead on a re-direct from John Furgele's shot in which there was a load of traffic in front of Hamilton. Whelan struck again just under 3 minutes later when he sent a shot through traffic that found the back of the net for his team leading 9th goal of the season. In the third period with the Bobcats holding a two goal lead, the teams traded six penalties in the period though neither could team found the back of the net. 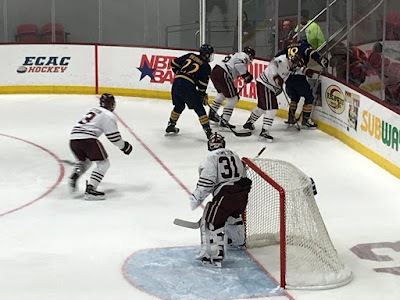 Just when it looked like Quinnipiac had the game sealed in the final minute, Colgate's Nick Austin scored to trim the Bobcats to one with an extra attacker goal. With just 13 seconds left Colgate's Adam Duada's found a loose puck in front of Shortridge and quickly put it past him for his second goal of the game to tie the score at three. 22 seconds into overtime Brogan Rafferty shot was re-directed by Pieper past Hamilton giving Quinnipiac a much needed victory. The Bobcats out shot Colgate 30-23 and both Alex Whelan (2 goals) and John Furgele (2 assists) had multi-point games. Quinnipiac returns to action on Saturday night when they travel to Ithaca, New York to face the Cornell Big Red who are fresh off a 7-1 win over Princeton. Quinnipiac heads on the road again this time to upstate New York for the Colgate/Cornell swing starting with #17 Colgate on Friday night. 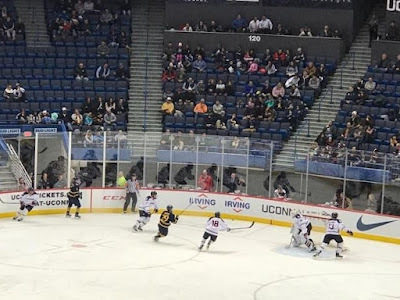 The Bobcats are coming off a 3-0 win over UConn in Hartford on Tuesday night which was their first win since November 28th when they beat Princeton 6-2. Colgate is slumping a bit going 2-4 in their last six games after a 6-2-4 start. Complicating things for the Raiders will be the fact that their most important player, Colton Point, will not be available as he is playing for Canada in the 2018 World Junior Championships. Quinnipiac lost last time to Colgate, 4-1 back in early November which was the start of their downward spiral in the first half. With the way Colgate has played lately and no Colton Point this game would seem to favor Quinnipiac even if its on the road. Colgate has struggled a bit offensively this season to a tune of 2.44 goals per game (48th nationally). It's obvious the defense and Colton Point have covered up for the offense which has gotten this team to a solid start this year. Bobby McMann had a really good first half of the season with 17 points with John Snodgrass (11 points) being the next best scorer for the Raiders. Adam Dauda (10 points) and Jared Cockrell (9 points) also pace the Colgate offense. The power play has improved a bit since the last time these teams met but its still not very good at 13.7% (10-of-73) which is 52nd nationally. Quinnipiac has a much improved penalty kill at 84.2% (64-of-76) good for 14th nationally. The Bobcats did take too many penalties (7) against UConn on Tuesday so that will need to cleaned up before Friday's game. The Colgate defense has been a strength this season yielding 2.28 goals per games (tied for 7th nationally with Northeastern). However without Colton Point behind them have given up 10 goals in two games played. That will happen again on Friday with Point in Buffalo for the World Juniors. in the game's that Colton Point has started yielding just 8 goals in 7 games. Willie Brooks and Nick Austin have played well on defense and they are getting great freshman play from Trevor Cosgrove (4 points, plus 7). The key is how this defense is going to fare without Colton Point protecting them at times. They have a solid penalty kill at 80.26% (61-of-76) good for 34th nationally. Quinnipiac's power play has been non existent this year so this should favor the Raiders in this category. As we said earlier, Quinnipiac catches a huge break with Colton Point playing for Team Canada at the 2018 World Junior Championships. He was a strong in the November 4th, 4-1 win at Quinnipiac with 33 saves. 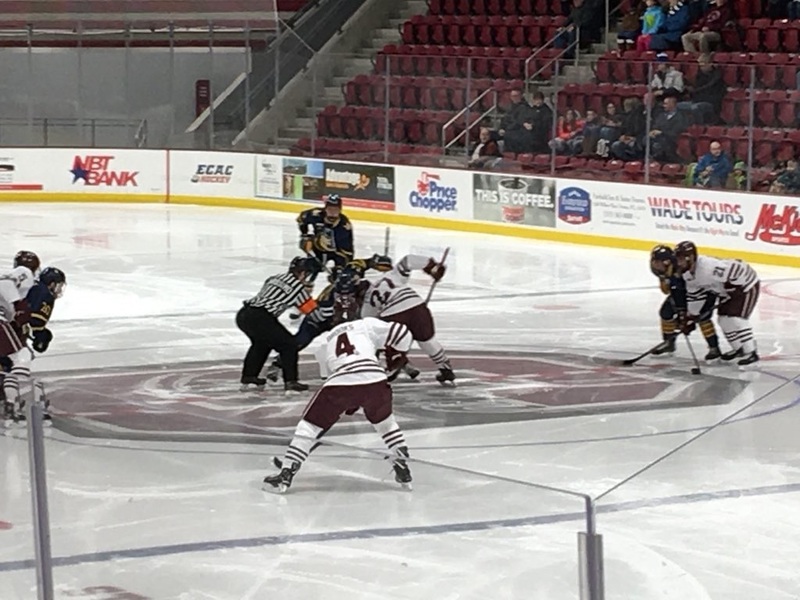 With their most important player unavailable, the Raiders will have to turn to either seniors Bruce Racine or Zac Hamilton neither who have fared well in either of their one game played each this year against the University of New Hampshire when Colgate gave up 10 goals on the weekend. 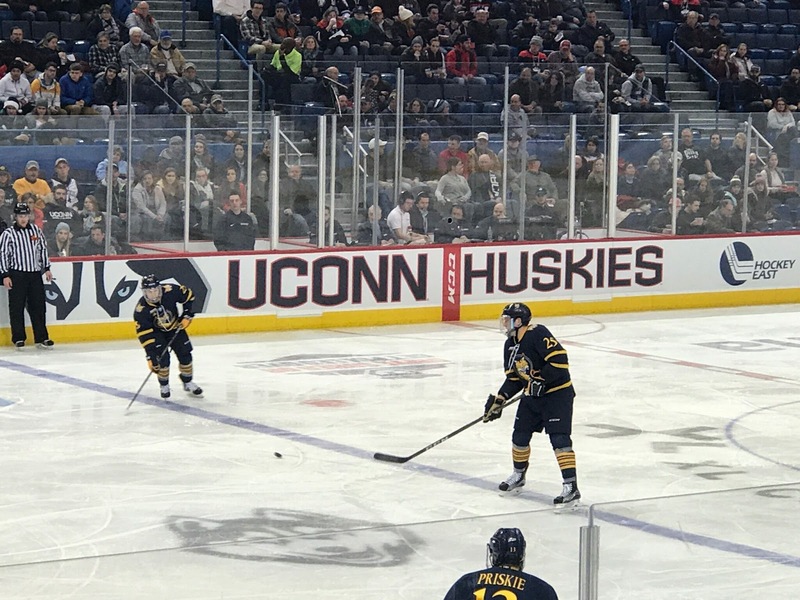 This is a great opportunity for Quinnipiac to continue to build momentum from Tuesday's win over UConn and get some much needed ECAC points over a solid team. The Bobcats have played better on the road this season with four of their seven wins coming away from Hamden so a little road bonding might be good for this team as they try to flip the script in the second half of the season. 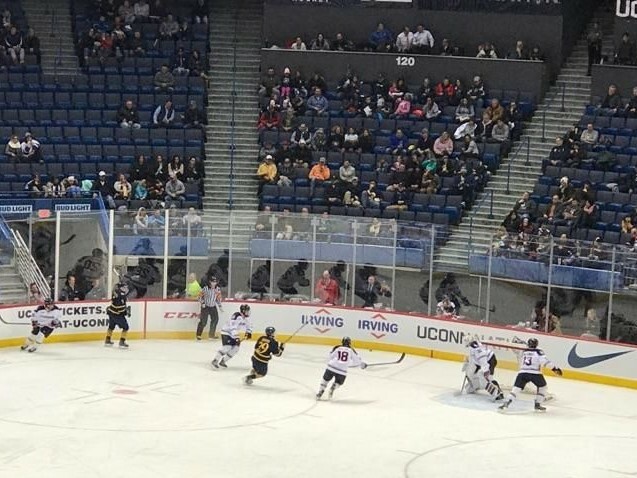 The Quinnipiac Bobcats opened the second half of the season with a 3-0 win on Tuesday night against the University of Connecticut in a non conference match-up at the XL Center in Hartford. It was the first win for Quinnipiac since a 6-2 win on the road against Princeton on November 28, 2017. After closing out the first half of the season with back to back losses against Maine to finish at 6-10-2, Quinnipiac showed a renewed effort as they look to turn their season around with the calendar turning to 2018. Quinnipiac got strong goal-tending in net from sophomore Andrew Shortridge who recorded his 4th shutout of the season. "Starting out with a big win like that with a good battle at the start, it was huge boost for our confidence, said Shortridge after his 21 save performance. We can really use that as a momentum builder". The Bobcats got on the board just over six minutes into the opening frame when Alex Whelan cleaned up a rebound in front of UConn goaltender Adam Huska off a Kevin Duane shot from the half wall. It was the 7th goal of the season for Whelan putting him one goal behind team leader Tanner MacMaster who has 8. The teams went scoreless in the middle frame but Shortridge came up big with some saves late in the second period to preserve the lead. "The boys were great in front me tonight. The defenseman were great at retrieving pucks in front of me along with pushing a lot of the play to the outside. We had a lot of one and done opportunities which helped to control rebounds and the forwards blocked shots", said Shortridge. Quinnipiac scored on another rebound six and half minutes into the third period when Bo Pieper found the puck come to his stick in the high slot and buried a one timer past Huska for the goal. 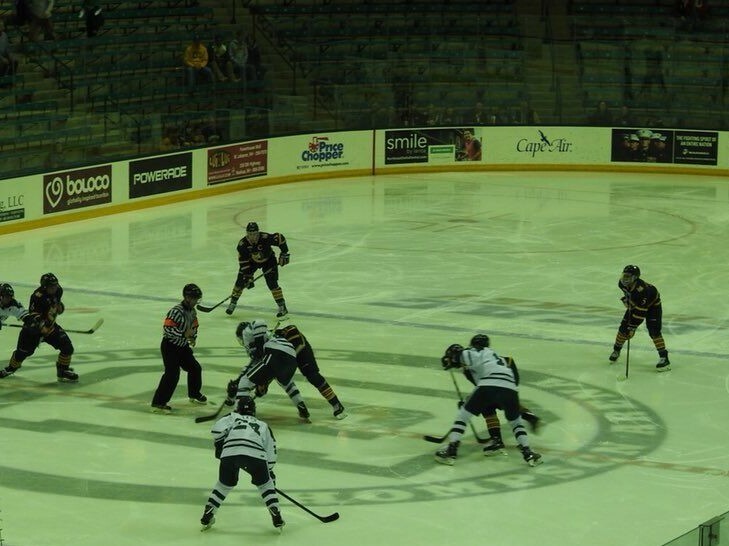 The Bobcats sealed the win in the final minute on an empty net goal by Kevin McKernan. Quinnipiac out shot UConn 27-21 for the game and blocked 17 UConn shots. Quinnipiac showed some strong grit and hustle tonight and capitalized on rebound chances and had a solid fore-check. "It was a good win but we didn't play our best game, said Rand Pecknold. We we were rusty in the first period. We battled and Shortridge was our best player tonight". Quinnipiac improves to 7-10-2 on the season and now will head to Colgate and Cornell this week as they head back into ECAC play. "We still have to clean some things up and get ready for our next game but I am happy to get the win", added Pecknold.